Dow AgroSciences wanted a clever way to communicate with their customers by offering testimonials from other growers working in the same industry. But how could they incorporate these voices into a printed direct mailer? 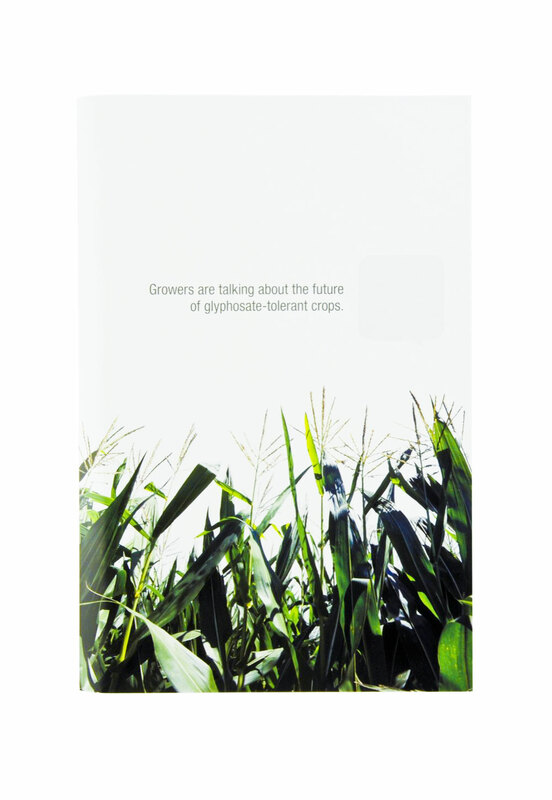 Dow AgroSciences and their agency, Bader Rutter, turned to Americhip’s proprietary audio technology to achieve this goal. 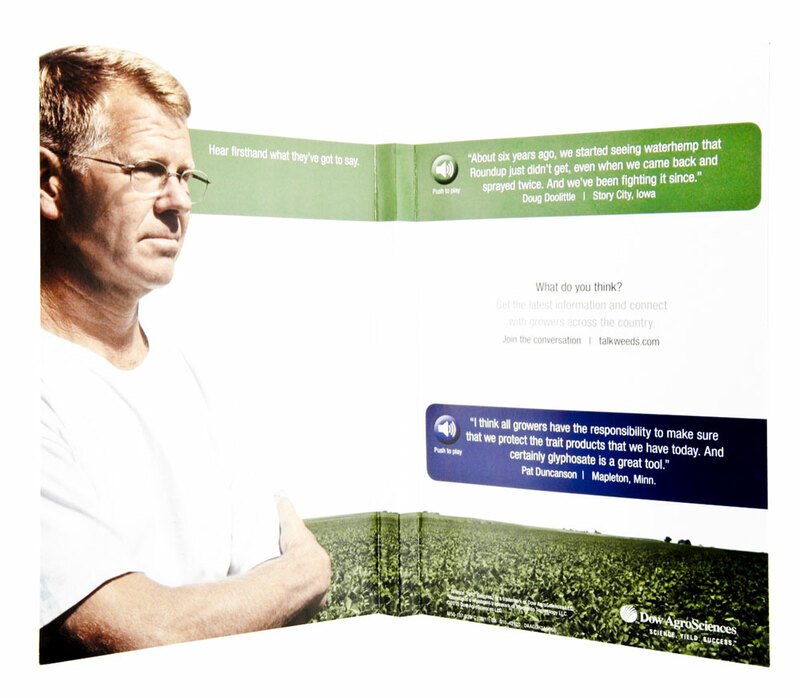 The card was designed with simple text and graphics tailored to the industry. Americhip’s proprietary Dual-Track Audio Technology was embedded directly inside the mailer. Recipients simply pressed one button to hear what a farmer in Story City, Iowa had to say and a second button featured the voice of a farmer from Mapleton, Minnesota. There was no need for voluminous text or a 10 page brochure. 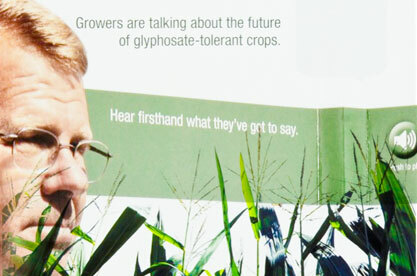 The farmers’ own voices spoke clearly to their experience, their expertise and their knowledge. What more can a direct mailer say or accomplish? Americhip’s audio technology remains a low cost tool to grab attention, cut through the clutter and deliver a message that resonates with your targeted audience.